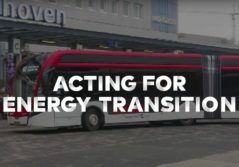 Resolutely committed to clean transport solutions, the Amstelland-Meerlanden region appointed Transdev to introduce and operate a network of electric buses. A challenge worthy of the company’s ambitions... 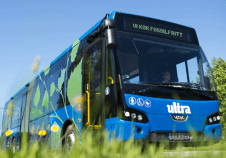 This is Europe’s largest fleet of electric buses! 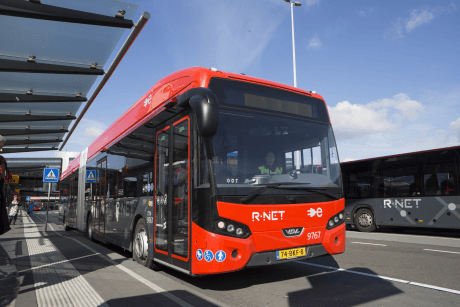 Guaranteeing total passenger satisfaction both on the SchipolNet network serving the airport and on the R-Net urban network, which crisscrosses the Amsterdam region, requires a zero-fault service. We successfully took up the challenge, drawing upon our acquired expertise and experience. A fleet of high-capacity articulated electric buses was recently introduced, to increase the number of passengers carried each day. Since March 2018, 100 electric buses have provided a continuous service serving Amsterdam Schipol airport; they are powered by energy derived from 100% renewable sources, mainly from wind power. The bus depots are also equipped with solar panels. By 2021 the fleet must be 90% electric with the objective of zero emissions by 2025. For us, this will be a major step in our day-to-day commitment towards clean mobility. 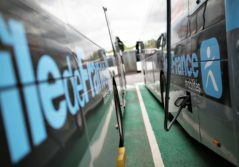 Our vehicles have an autonomous range of approximately 45 miles/h; to improve availability, the installation of a fast recharging system requiring just a 30-minute charge is planned for the end of the line. It tops up the total charge received at night in the depots, for 24/7 availability. Additionally, the batteries recharged by pantograph. This allows for more space onboard and a lighter overall weight for the vehicles. And because electric buses must be driven differently, our 500 drivers have received “ZE” training (zero emission) enabling them to master all the subtler aspects of the vehicle, allowing for efficient transport in total safety!